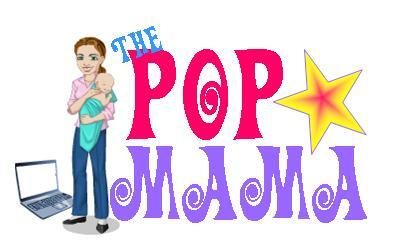 Pop Mama: T minus 24 days! The Christmas count down begins! The tree is up and decorated, many presents bought (none wrapped yet) and the holiday spirit is in the air. I just have to get my Christmas cards sorted out and we will be golden. Cameron is in a better mood (still no tooth) and it is snowing for the first time this winter! Now don't get me wrong, I am NOT a big fan of winter -- I tolerate it through the holidays and then immediately get seasonal depression until the first warm day of spring. First on the agenda is correcting a past post (http://www.thepopmama.com/2010/11/what-does-15-minutes-of-fame-cost.html). It had been reported that Alexis and Colin Gosselin were expelled from their swanky private school in Pennsylvania and were being home schooled. Well, that is partly true. Kate Gosselin did an interview with Meredith Viera on the Today Show and cleared the air. Alexis and Colin were NOT expelled from school and instead were pulled out and started private tutoring at home. Kate explained that they were struggling with anger issues related to the divorce and were having trouble performing within the constructs of their school. The two are getting private tutoring at home and weekly therapy and Kate hopes that they will return to school within this school year. Well, that is good news that they were not expelled. I can certainly imagine that these children can have some anger and coping issues -- after all they are only 6 years old! Next, what are you all doing to get in the holiday spirit? Here are some suggestions -- things that just make me feel all the merrier! 1. Drink hot chocolate. When I was pregnant this was a saving grace -- hardly any caffeine and some calcium to boot! I favored the McDonald's hot chocolate because it was VERY creamy, but I also didn't have to get out of my car to get it if I didn't want to. Very convenient. 2. Watch holiday movies. Snuggling on the couch and watching: Elf, Love Actually, A Christmas Story (my husband's favorite), Christmas Vacation, Miracle on 34th Street...pure bliss. 3. Drive around looking at holiday lights. This is a good one, especially for kids (Cam isn't really old enough yet...). My husband and I do this together every year and I really like seeing all the neighborhood decorations. 4. Play Christmas music at home, in the car, on the iPod, etc. I play it now when I am changing Cam's diapers and getting him ready for the day. It just seems to put us both in the right frame of mind. 5. Bake. I am not a huge baker (think refrigerated cookie dough), but I do like making banana bread to give out as holiday treats and I do like to make the occassional cookies. More than anything I just like the feeling I get when the house is warm and smells good. I suppose you can also get this effect by burning a cookie scented candle. To each his own. These are just a few things that I have been doing to get in the spirit. Let me know if you all have other traditions, tips, activities that make December special.